My friends and I ran out to Ozzie’s Diner in Queen Anne here in Seattle this morning for brunch. Some of us had ‘the house mess’: a scramble of egg, cheese & some veggies, on top a bed of hash browns. Temperatures only got to 42 °F (5 °C) today, but this is absolutely mild compared to the frigid temperatures expected along the Canadian border in the Midwest by Wednesday. A polar vortex will drive down nighttime temperatures at places such as International Falls, MN to a deep, deep freeze of -36°F (-38°C). 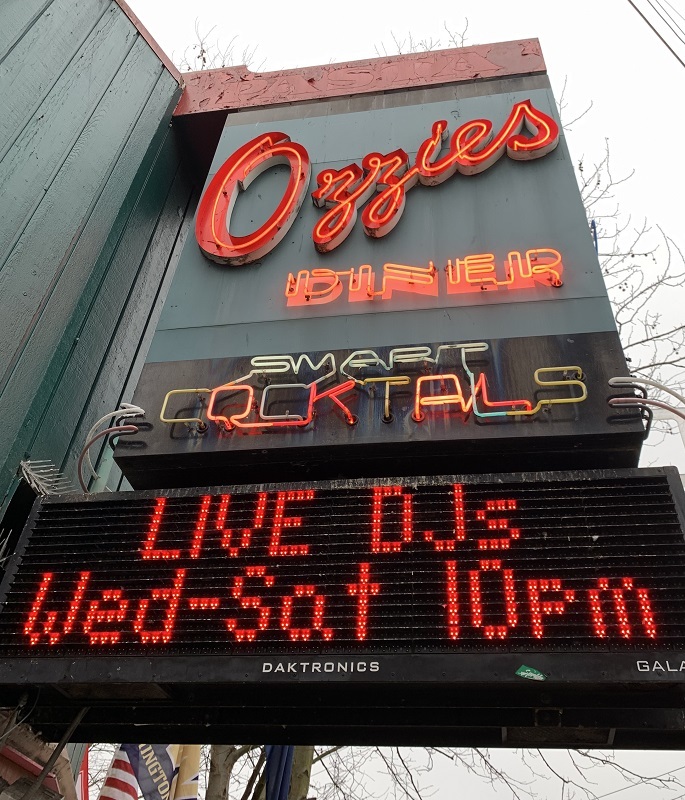 Ozzie’s Diner was established in 1954, and is on Mercer Street in Queen Anne. (Smart cocktails in such a down-to-earth place? Hmm. Probably cocktails mixed with a shaker with sensors/ fancy technology to help the bartender make it perfect every time). Next PostNext Monday/ here comes the SR-99 tunnel opening!